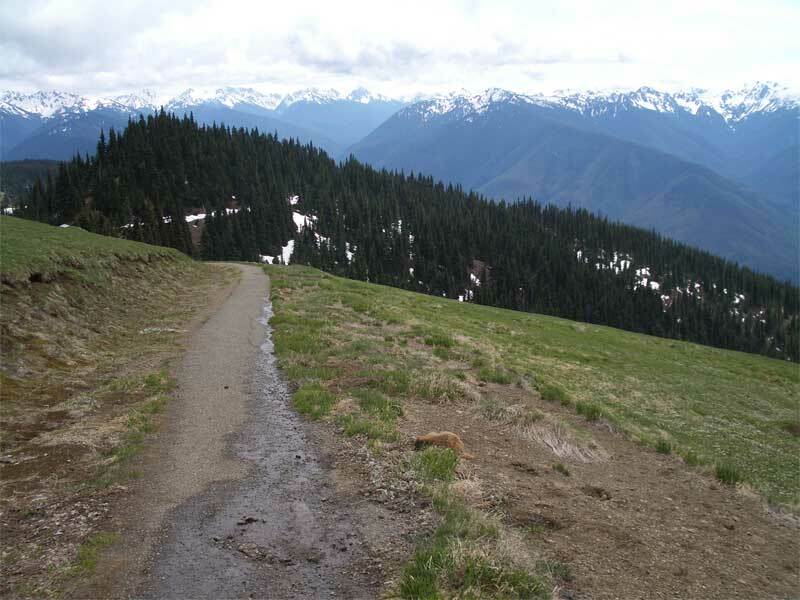 The road past the lodge at Hurricane Ridge is open, and the the Hurricane Hill trail from the end of the road is almost completely snow free. There are a few patches in that wooded section, but the snow is melting fast. 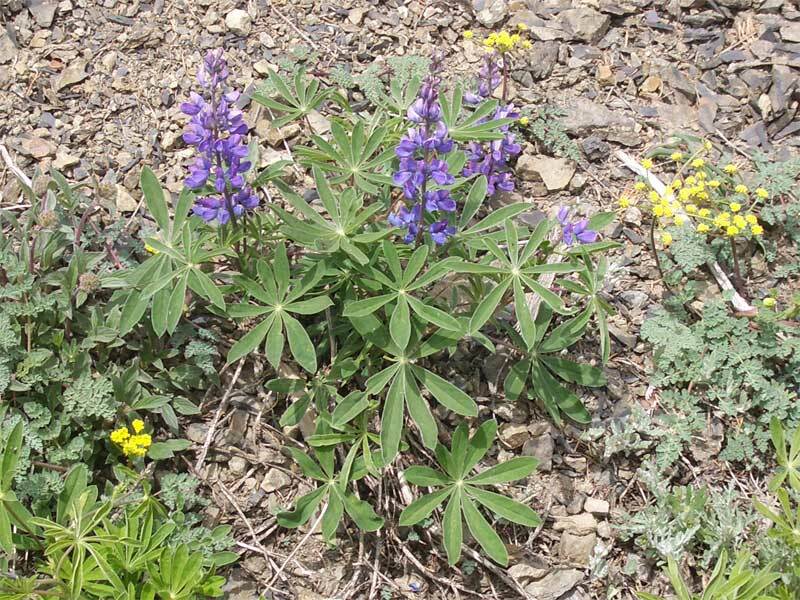 The flowers are blooming, and the scenery is spectacular. 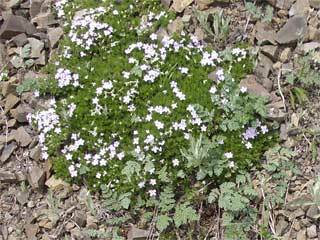 The high country is opening for the season. We drove up to Hurricane Ridge on a gray, unprepossessing day. There was a foggy stretch from above Heart of the Hills to a fair ways past the tunnel, but then we were above the fog and the mountains views were clear. 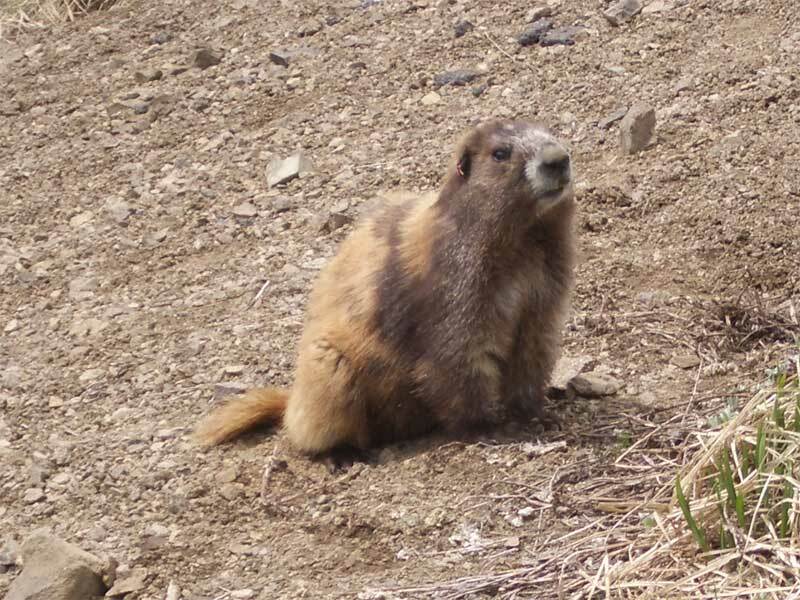 As an extra bonus, in addition to the mountains, the flowers and the trail, there were marmots. 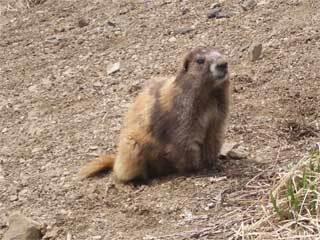 We saw three Olympic golden marmots, unique to the region, and they were doing quite well, thank you. 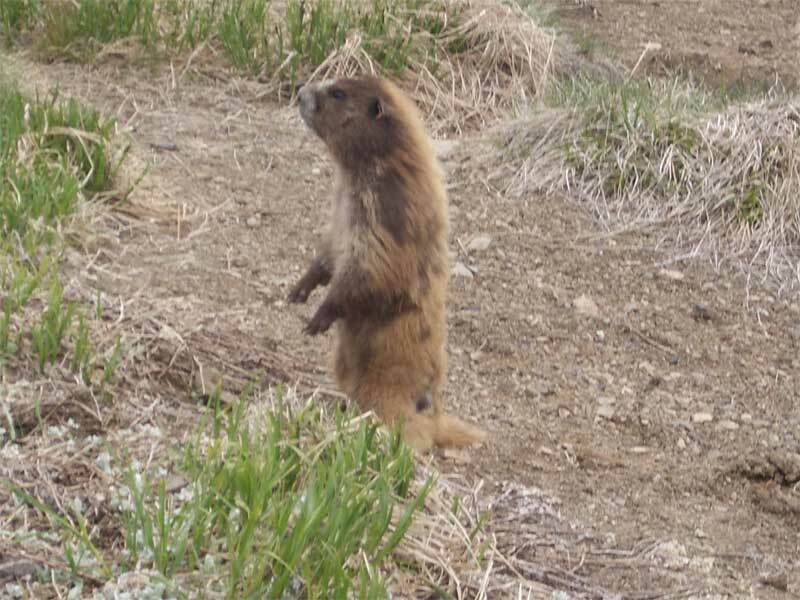 They were trundling around, digging burrows and checking out the tourists. One of them was rummaging about just to the side of the trail and seemed quite unperturbed by his or her audience. It is definitely time to head for the hills. 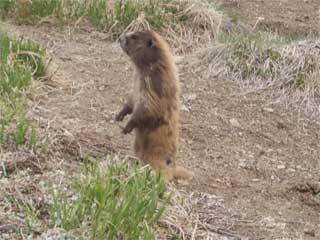 Can you spot the golden marmot? (It's to the right of the trail). Click on this, or any other, shot for a larger version. 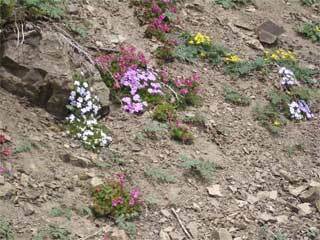 The alpine gardens are blooming. 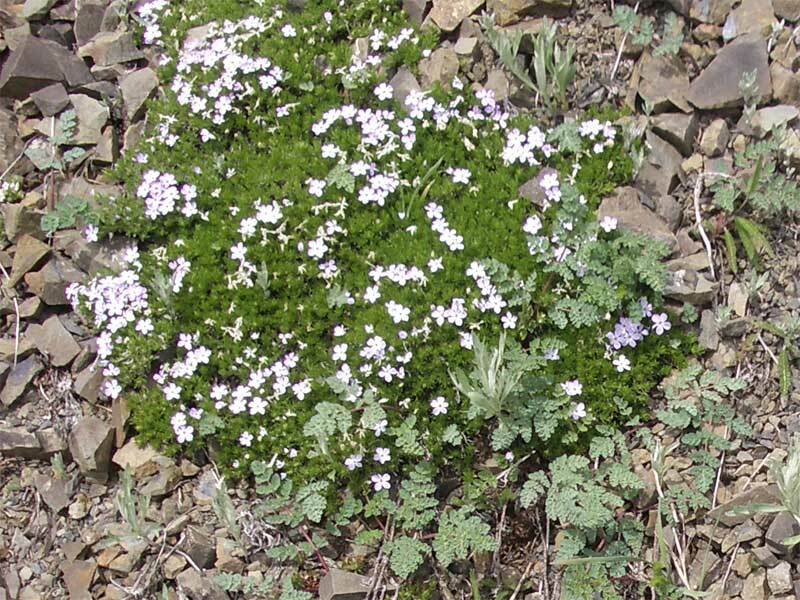 The phlox perfumes the trail. The lupines are out, already! 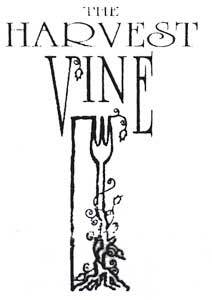 Rover's is right across the street, so we kept putting off dinner at The Harvest Vine. We finally made a special trip, and we have to admit. The cuisine may be Basque, but maybe the Basque are just better cooks. This was the best Iberian meal we have had, ever. There was the expected, squid in its own ink, and the unexpected, venison with oyster mushrooms, and then there was the perfect, and we could go down a long list here starting with the sea urchin and porcini revuelto. Read our review to learn more. According to the Peninsula Daily News, Dungeness Valley Creamery should be staying a dairy for a while now. The Friends of the Fields and the North Olympic Land Trust say they've raised the money to buy the development rights! We've been following this for a while. There's a state matching grant involved, and most likely a number of hurdles remain, but the grant has been matched, and preservation is on the march. We finally got around to checking out the Lake Angeles Trail. 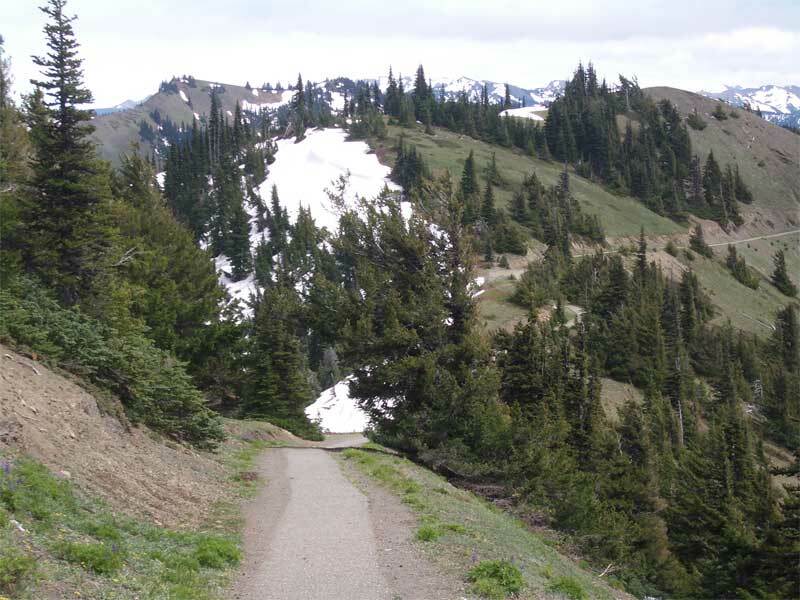 This is an often overlooked trail that runs from near the Hurricane Ridge Road entry station at about 1900' to Lake Angeles at about 4300'. It is a wonderful climb, and it is usually passable well before the high country is open. 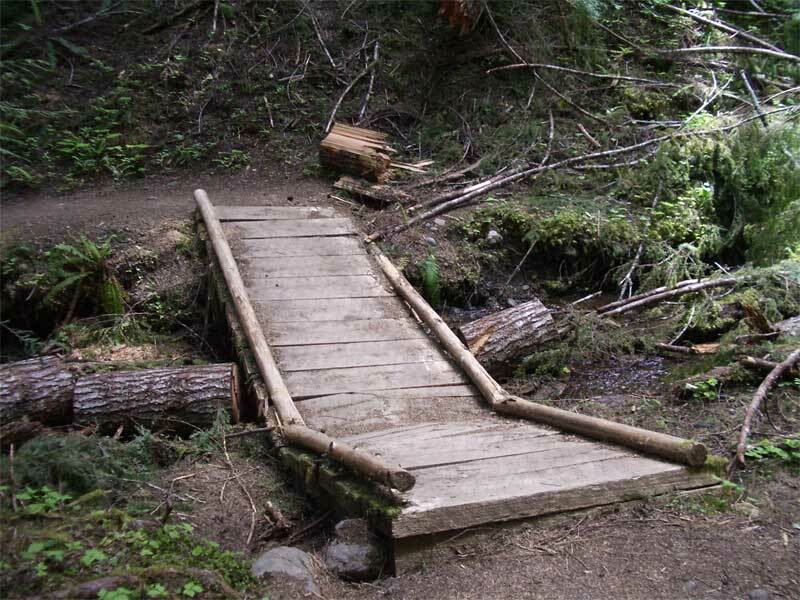 This year, we'd like to report that the trail is open to the lake, and, according to an informant who was returning from the lake, all of the snow around the lake has melted. We ourselves didn't get much above 3000'. We need to get back into shape, but it's nice to know that the lake is waiting for us. 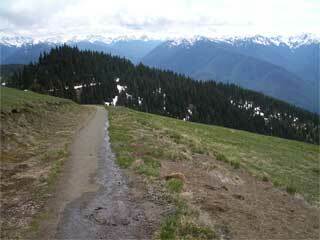 As for the trails around Hurricane Ridge. As of a few days ago, there was a lot of melt, but also a lot of snow. The road to the Hurricane Hill trailhead is still unplowed, but at the rate things are melting, the high country should be opening up through the month of June. The little bridge near the start of the trail is still broken, but quite passable. Besides, the creek is so narrow here, you can almost leap over it.